How exactly do employers prove to the IRS that the healthcare plans they are offering to their workforce are affordable under the Affordable Care Act (ACA)? It’s an important question for organizations with 50 or more full-time and full-time equivalent employees that are considered to be Applicable Large Employers or ALEs and that are required to comply with the ACA employer mandate. On an annual basis,ALEs are required to offer certain health coverage under Section 4980H of the Internal Revenue Code and file information returns to the IRS regarding such health coverage under Section 6056 of the Code. Affordability of healthcare coverage offered by employers to its full-time employees is an important part of the formula to satisfy the employer mandate that demonstrates ALEs have appropriately offered affordable. The IRS provides three affordability safe harbors that employers may claim when submitting their annual ACA information returns. The rate of pay safe harbor is based on an employee’s hourly rate or monthly salaried rate depending on employment status. Best practice is to undertake this safe harbor test for each full-time employee each month. Hourly Workers: To determine the affordability threshold for an hourly worker, for example, take the employee’s lowest hourly rate for the month and multiply by 130 (the minimum total of hours on a monthly basis to be treated as a full-time employee under the ACA). Take that product, multiply by 9.56% (for 2018). This will identify the maximum monthly premium that the employee may be required to pay to satisfy affordability per ACA regulations. Here’s an example: Chris works 130 hours at a $15 hourly rate in March. Multiply $15 by 130. Take the result of $1,950 and multiply by 9.56%. The $186.42 is the maximum amount for March that Chris’s employer can require Chris to pay to cover himself if the employer wants to satisfy affordability for that month with respect to that employee. Salaried Worker: To determine the affordability threshold for a salaried employee, multiply the monthly salary by 9.56%. Here’s an example: Joanna is a full-time employee who receives a monthly salary of $10,000. Multiply $10,000 by 9.56%. The $956 is the maximum monthly amount that Joanna’s employer can require Joanna to pay to cover herself if the employer wants to satisfy affordability for that month with respect to that employee. The W-2 safe harbor can be the trickiest safe harbor because it cannot be determined until the end of the year. While there are methods an employer can use to gauge whether or not this safe harbor will be met, it ultimately cannot be proven until the end of the year. The reason for this is because you need the amount in the W-2 Box 1 for the affordability calculation. In order to claim the W-2 safe harbor, the following formula is generally used: W-2 Box 1 Wages multiplied by 9.56% with an adjustment for partial year coverage. Here’s an example: Stephen is paid an annual salary of $42,000 per year. He was employed for only 9 out of the 12 months of the year and was offered coverage throughout those 9 months. Take $42,000 and multiply it by 9.56%. Multiply that result by 9/12. The product, $3,011.14, corresponds to the maximum annual amount that Stephen’s employer can require Stephen to pay for self-only coverage in order to meet the W-2 safe harbor for the total of 9 months. In other words, for each of those 9 months, Stephen’s employer may not require him to pay more than $334.60 per month for self-only coverage. The federal poverty line (FPL) is annual household income which is a function of the household size and is adjusted on an annual basis. For 2018, the FPL is $12,140 for a household size of 1. In order to meet this safe harbor, the employer would have to show that the full-time employees were offered self only coverage that did not exceed the product of the FPL multiplied by 9.56% and then divided by 12 ($12,140 x 9.56% / 12 = $96.72). If the employee contribution for self-only coverage meets or is below this amount, then the FPL safe harbor is met. Here’s an example: Johnny is paid $2,000 a month, corresponding to $24,000 annually. Johnny’s employer set up uniform contribution rates for self-only coverage at a required contribution rate at $60.00 a month. This monthly contribution is below the FPL ceiling of $96.72 per month and hence, the FPL safe harbor is met. If an employer sponsored plan is offered to the full-time employee and his/her dependents and meets the FPL safe harbor (and minimum value) for self-only coverage, the offer would be a “Qualifying Offer,” which would then eliminate the need to code Line 15, which ordinarily requires a specific dollar amount of each monthly contribution. There are a number of considerations that can affect the affordability of a plan. Opt-out payments, wellness plans, flex credits, and health reimbursement arrangements are some of the more common considerations that may either increase or decrease the affordability of an employer sponsored health plan. If your organization has components like these, you may want to seek an outside expert to help you make sure that the contributions identified on Line 15 of the 1095-C are accurate. Implementing safe harbors when administering your health plan is one thing. Communicating this information to the IRS is another. Applying the correct code combinations is essential to preventing the issuance of Letter 226J to your organization. An outside expert can help make sure your organization filed its returns using the correct code combinations. 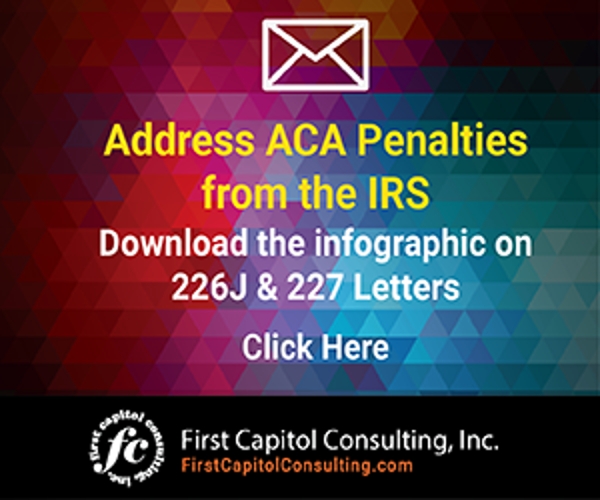 If such errors are found for 2016 or 2017 filings, you may be able to correct them to head off receiving penalty notices from the IRS. And if for some reason you do receive a Letter 226J, you can find information on how to respond by clicking here. To learn more about ACA compliance in 2018, click here. For ACA reporting in 2019, organizations should review this link for important dates and requirements. Offering coverage to 95% of your full-time workforce is one piece of the puzzle. 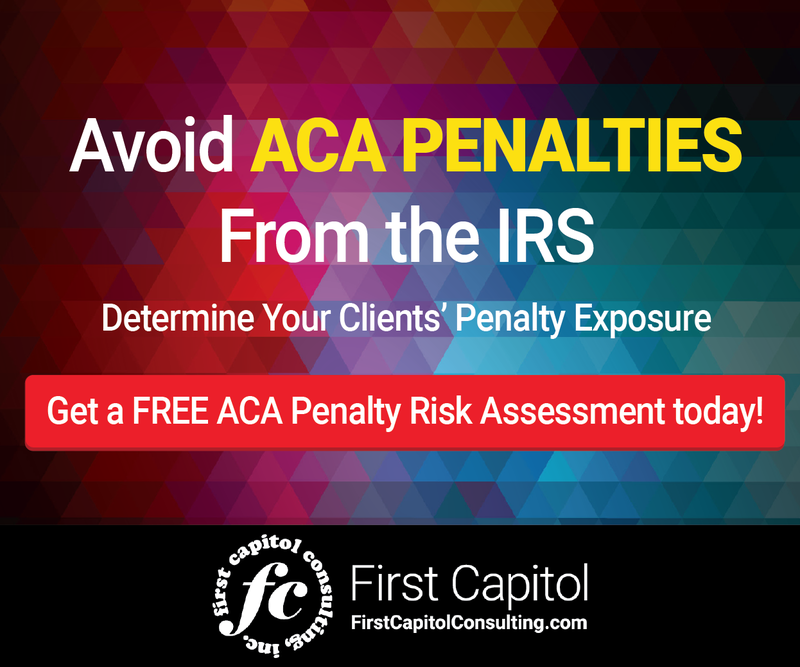 Avoiding penalties for failing to offer affordable coverage under IRS 4980H is another. Implementing safe harbor codes correctly can make your ACA compliance process. Joanna Kim-Brunetti, Esq., is Vice President of Regulatory Affairs for First Capitol Consulting. Related Articles The Gender Pay Gap – Just How Bad Is It?